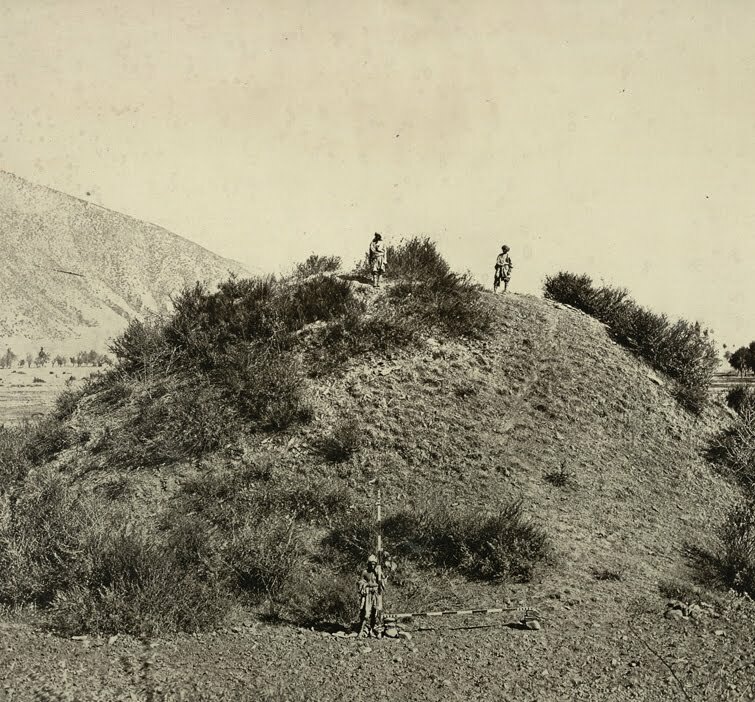 Indian scene of Stupa C1. Gandhara art in Hadda at the Chakhil-i-Ghoundi Stupa in Afghanistan. Musée Guimet. Photo by PHGCOM 2006. 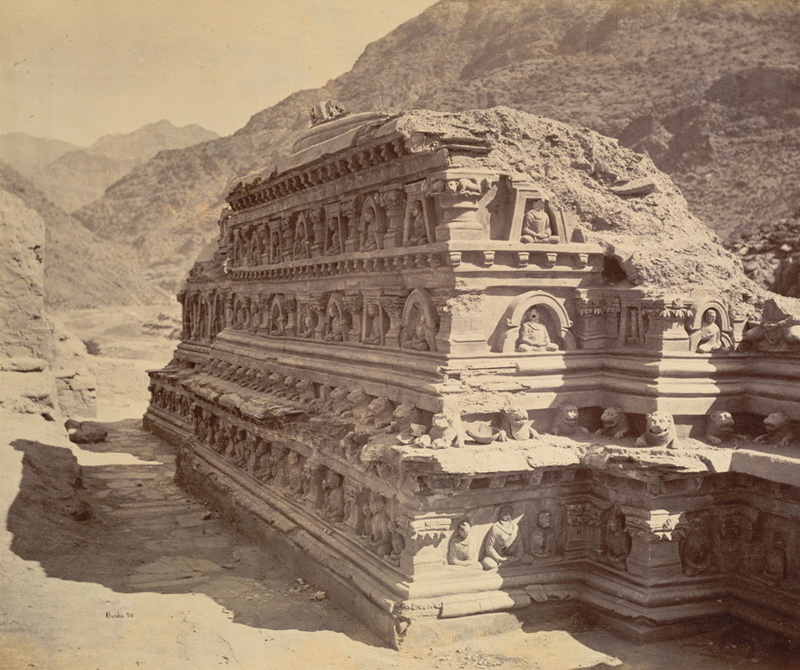 Gandhara art at the Chakhil-i-Ghoundi Stupa in Afghanistan. 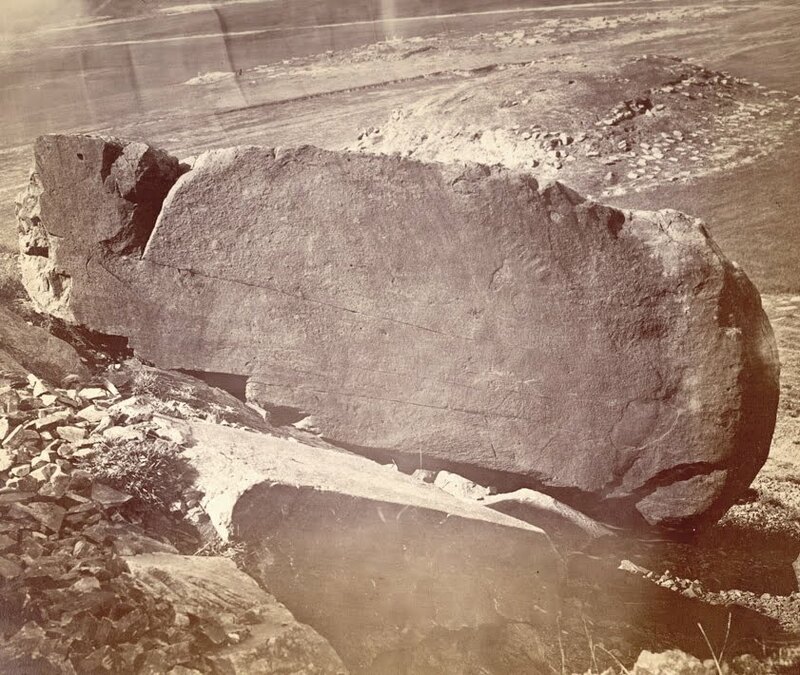 Base of Stupa C1 at Hadda. Musee Guimet. Photo by PHGCOM 2006. Bacchanalian scene, representing the harvest of wine grapes and a drunken Dionysos, Greco-Buddhist art of Gandhara, 1st-2nd century CE. Tokyo National Museum. Photo by PHGCOM 2005. 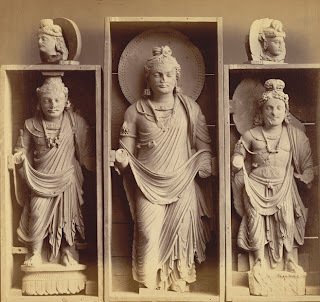 Gandhara frieze with donor, in purely Hellenistic style, 1st-2nd century CE. Buner, Swat, Pakistan. Victoria and Albert Museum. Photo by PHGCOM, 2005. Soldiers Battlling Animals. Exhibited at Musee Guimet. Photo by PGCOM, 2007. Soldiers Battlling Animals. 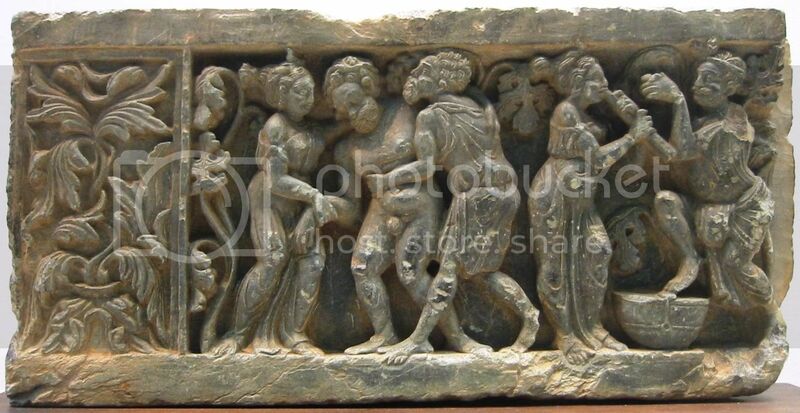 Frieze from Gandhara. Photo by PHGCOM 2007. Exhibited at Musee Guimet, Paris.